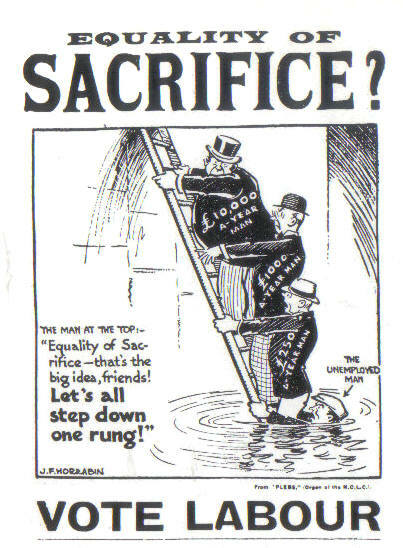 With Britain now officially in the longest period of economic recession and stagnation in its history, this 1930s Labour poster is more relevant than ever. 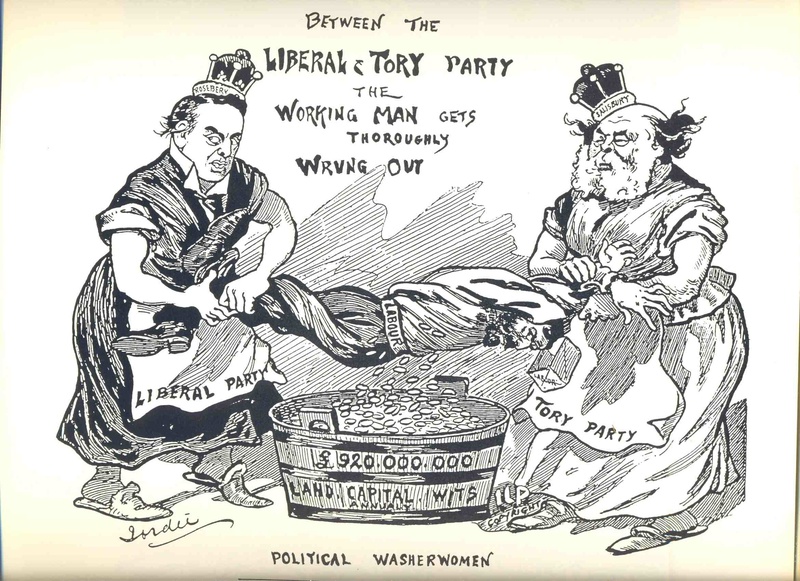 Commenting on the 2010 Budget, Guardian columnist Seumas Milne referred to “[an] iconic Labour movement cartoon from the early 30s, when another coalition came to power in the wake of a financial crisis and slump”. The chancellor is locked in. He could tighten harder; but then he risks another recession. He can tighten more gently; but then he is open to the charge of abandoning his strategy. He will presumably stick doggedly to his plans and hope for the best. The best is, however, unlikely to be what he gets. Whilst ordinary people bear the brunt of the recession, with a fall in living standards unmatched since the 1920s, corporations had their taxes cut from 21% to 20%, with the Chancellor boasting that the UK now has “the lowest business tax of any major economy in the world”. A key figure conveniently unmentioned is the estimated £750bn that companies in the UK are sitting on, unwilling to invest due to lack of demand. With schools charging pupils for extracurricular activites, above-inflation rent rise for council tenants, and even frontline ambulance services compromised being just a few amongst the long list of sacrifices made in the name of austerity; it is clear that, once again, the economic system we live in and the government it has produced does not serve the interests of the majority of the population. These old cartoons are useful reminders that, in some ways at least, the working class as a whole still faces the same basic challenges it has since the birth of capitalism. Living standards are attacked as we are told to “tighten our belts”; whilst those responsible are getting along better than ever, despite repeated reassurance that “we are all in this together”. 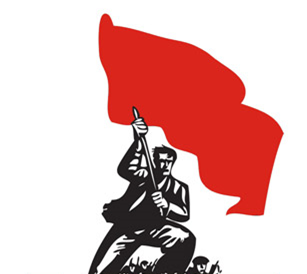 Instead of us paying for the crisis created by capitalism, we should be advocating the nationalisation of the “commanding heights” of the economy – the big monopolies, banks and insurance companies – so that the economy can be planned and run in the interests of people and not profit. Our economy should be run not by unelected bureaucrats, but under democratic workers’ control and management. Only then can we rationally use the vast resources built up by working people for everyone’s benefit. Only then can we break this pattern of history and guarantee a real, prosperous future for all.